Every city faces their unique set of challenges. The city of Detroit is no different. Limited funds and high crime rates have plagued Detroit and its public safety for decades. However, over the past five years, Detroit has made amazing strides in improving its city’s public safety. Detroit’s first responders continue to improve the safety of their city with the assistance they receive from the Detroit Public Safety Foundation. Detroit’s Police, Fire and Ambulance Departments and its employees have been stretched thin by its city’s economic problems. The lack of funding for Detroit’s first responders has left them without the necessary resources to serve the public. As recently as 2015, only six ambulances were in service and responsible for covering 140 square miles. Firefighters were not properly trained for responding to medical emergencies. Department funds have been further strained by staffing a police force responsible for patrolling a city with one of the nation’s highest homicide rates. These limitations on Detroit’s first responders caused response times to skyrocket above the national average. In 2012, the response times of first responders climbed to nearly one hour, over 40 minutes above the national average. Overcoming these challenges in any city is extremely difficult, however it is especially hard in a city facing poverty, declining tax revenues, and one of the highest crime rates in the nation. 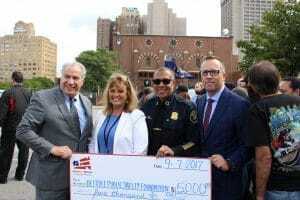 To improve its Emergency Departments and the public safety of Detroit, Detroit’s first responders have relied heavily on the support from the Detroit Public Safety Foundation. Since 2003, the Detroit Public Safety Foundation has been dedicated to strengthening the Police and Fire Departments and promoting public safety. They fund innovative programs that help the Detroit Police and Fire Departments make Detroit a safer place to live and work. Due to the programs funded by the Detroit Public Safety Foundation, first responders receive the necessary training and equipment to save lives and respond to 911 calls more efficiently and effectively. Funding also helps support community outreach programs that educate citizens on public safety, as well as bridges the gap between first responders and their community. 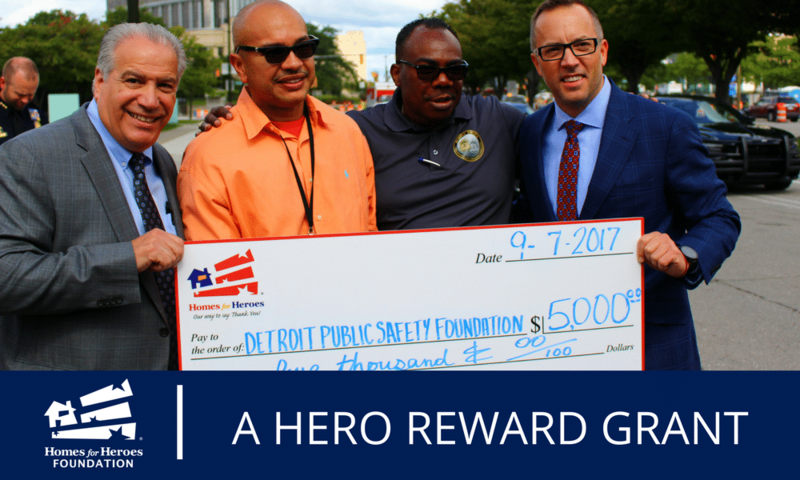 The Homes for Heroes Foundation recognizes the Detroit Public Safety Foundation as a faithful servant to the first responders of Detroit. Its funding and support has allowed Detroit’s Departments to operate more efficiently and safely, while improving the public safety of Detroit’s citizens. We are proud to provide the Detroit Public Safety Foundation with a grant of $5,000 to be applied to peer-to-peer needs.